My pomegranate tree is poppin’ right now so, I need to use them for the greater good! In this case, the “greater good” is this sparkling pink beverage. Pour sugar and 1 cup water into a large saucepan. Bring to a boil over medium heat stirring occasionally. Once sugar is dissolved add rosemary and allow to simmer for 15-20 minutes. Strain, cool and store in a sealed container. Pour 2 Tbsp pomegranate juice and 2 Tbsp of your simple syrup into a champagne flute. 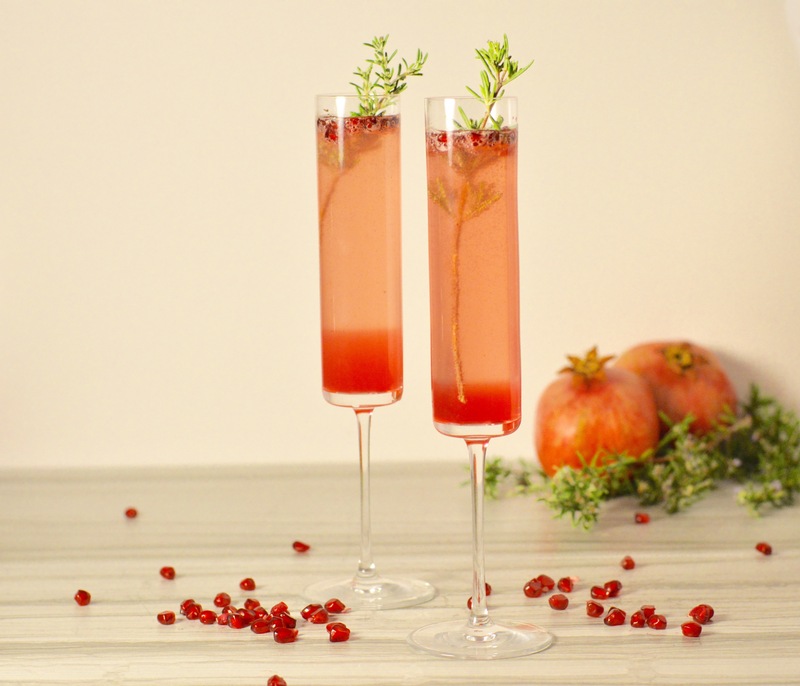 Top with Prosecco and garnish with a few pomegranate arils and a sprig of rosemary. Voila! You have a delicious and unique take on your Prosecco! Previous Post Salted Caramel: Science!